Our engineers develop and document the entire manufacturing process. Radius Engineering provides full composite design and analysis services and a complete, detailed composite manufacturing procedure..
Layup & Flat Pattern Ply Definition. Manufacturing Process Development & Documentation. 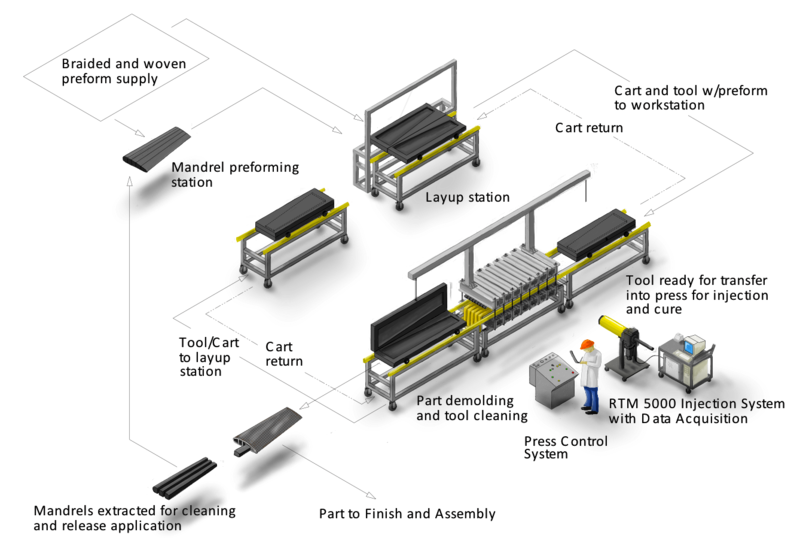 Complete Manufacturing Process Definition & Documentation. Fabricate and Test Prototype and Sub-Elements. Step-by-Step Layup & Tool Assembly Instructions. All Key Quality Inspection Identified. Fabricate and Test Prototypes, Sub-Elements & Limited Production Runs. Our Development and Tooling engineers are skilled in developing composite manufacturing processes and designing closed mold, metallic tooling that produces highly integrated composite structures with unsurpassed quality. Part forming cavities are designed to a target composite cured ply thickness providing better control of composite mechanical properties. 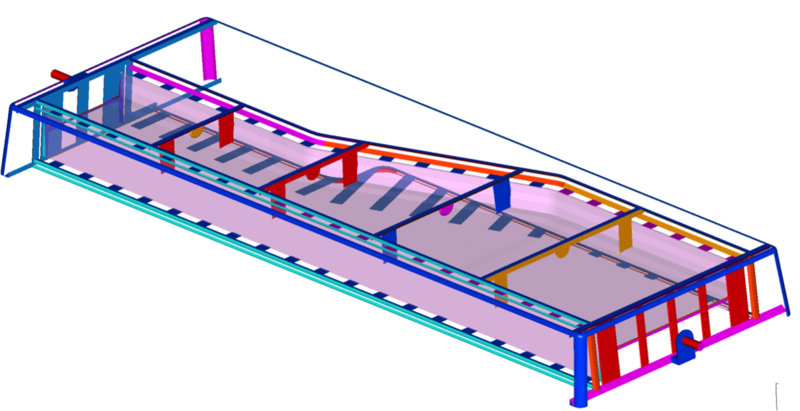 Tool registration features locate and control insert and preform positioning resulting in improved dimensional control and repeatability of the composite structure. 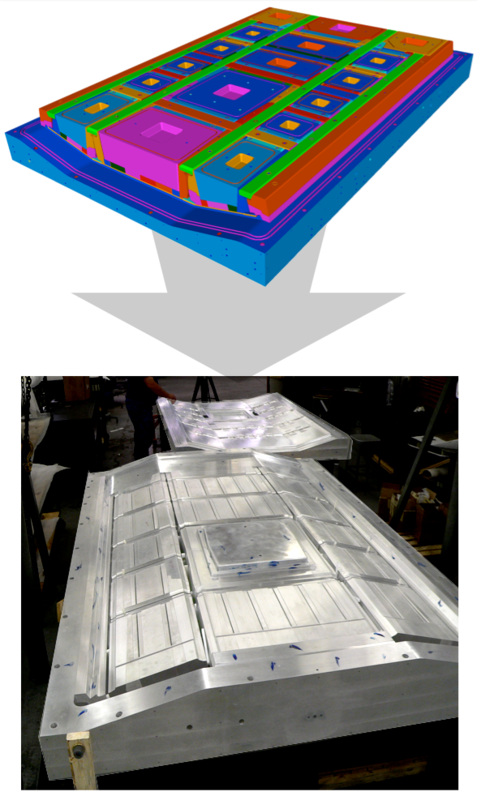 Closed mold tooling allows direct control of the hydrostatic pressure within the mold during the composite fabrication cycle resulting in superior part quality. Improved thermal uniformity is realized allowing increased thermal ramp rates reducing cycle times. 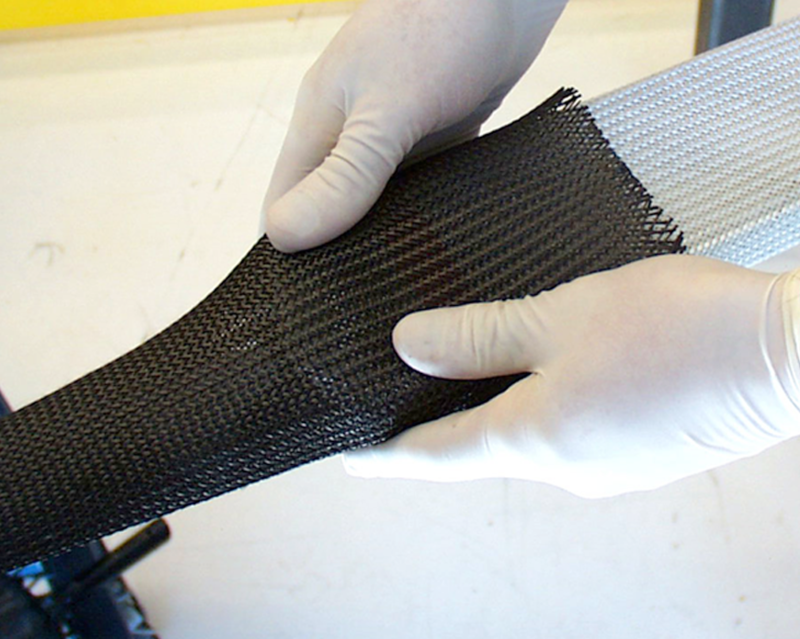 The composite manufacturing process and tooling allow scale-up from initial process development trials and sub-elements to full-scale structures with minimal process modifications. 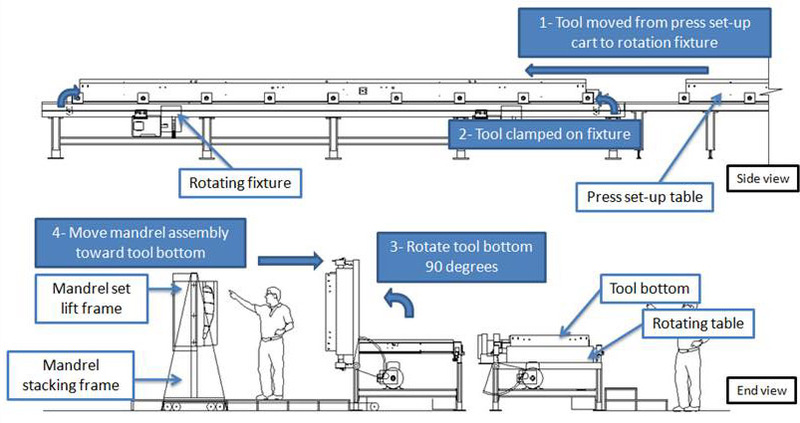 Tool handling fixtures are designed and fabricated to aid in tool assembly/disassembly providing improved cycle times and tool longevity. Tools are designed to integrate seamlessly with Radius Engineering Workcell and Injection systems. Single and Multi-cavity tool utilization to optimize equipment usage and reduce recurring costs. Radius Engineering develops unique net shape composite manufacturing processes, tooling and equipment. We specialize in developing this technology with the intention of transferring the technology to our customers. It is this technology transfer that allows our customers to successfully utilize Radius developed technology to produce net shape composite structures. Provide technology throughout the manufacturing process development cycle. 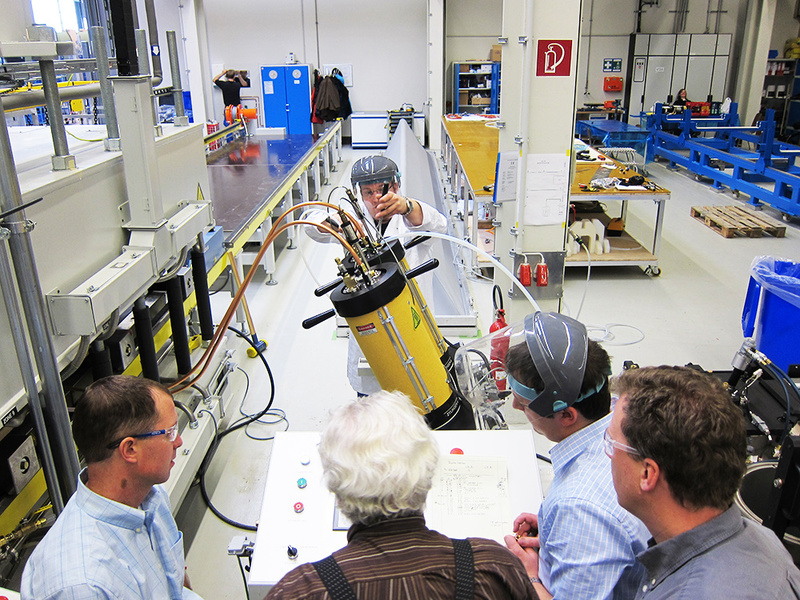 Our customers are welcome to participate on-site during process development trials. 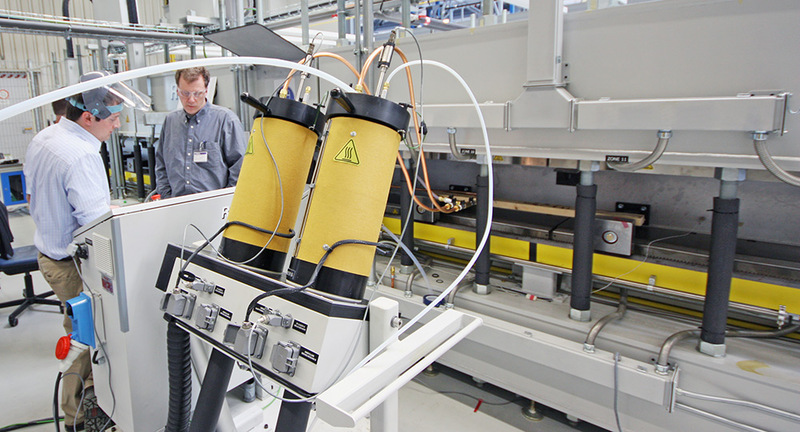 Technology transfer continues during factory buy-off of tooling and/or equipment. Radius Engineering provides training for all equipment delivered. Support at our customer’s facility is provided to train operators and technicians on the composite manufacturing process. Radius Engineering also provides manufacturing process audits with our findings and recommendations provided as deliverables to our customers. Our tool designs have been refined and proven over hundreds of tools and thousands of injection cycles. Our manufacturing equipment has been proven in production through reliable up-time while processing thousands of cycles. 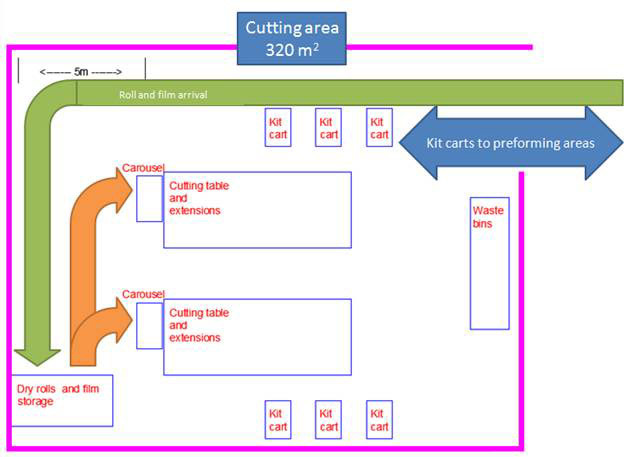 In addition to helping you with your process development, tooling and production support, we can share our expertise in facility layout planning to help you optimize your entire process. 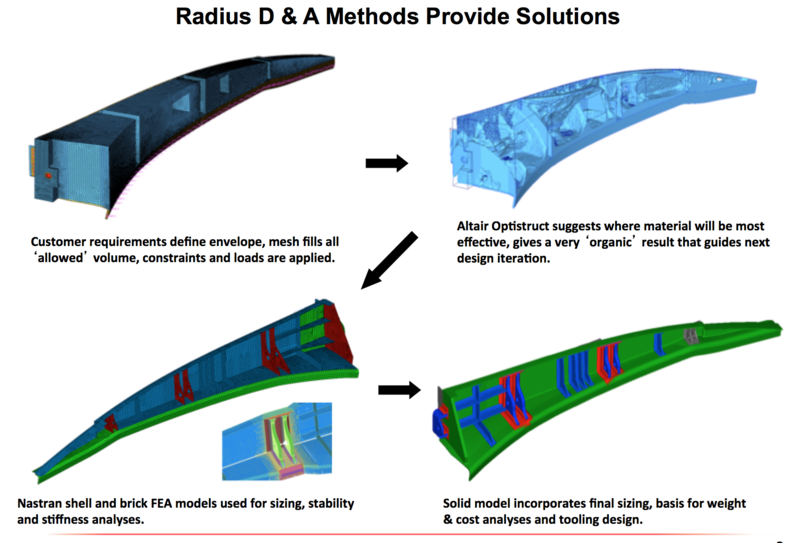 Radius has many years of experience helping clients plan their composite manufacturing layout. Facility layout planning is available with our composite forming equipment.